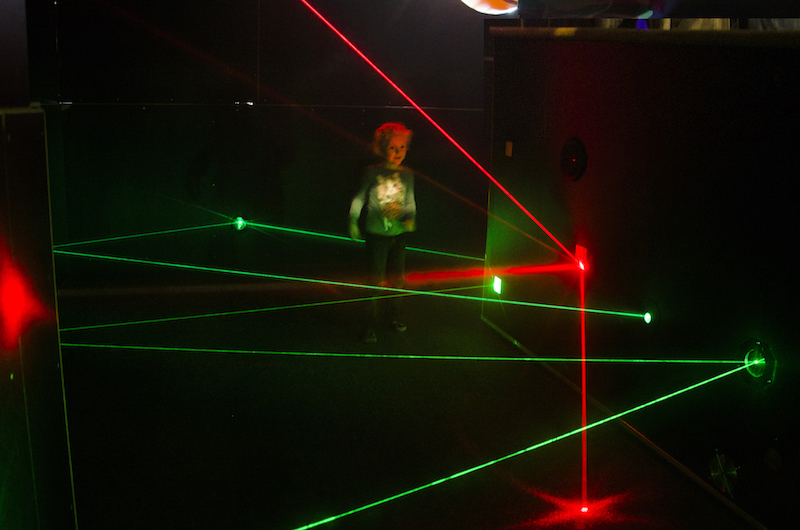 Our attractions are safe, exciting, funny and adventurous. 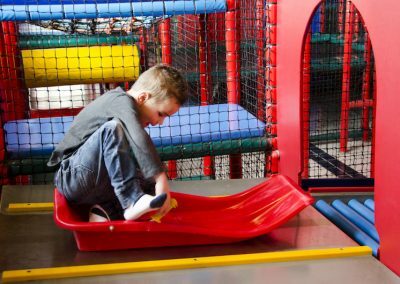 We have play equipment suitable for the tiniest as well as for older children (up to age 12). 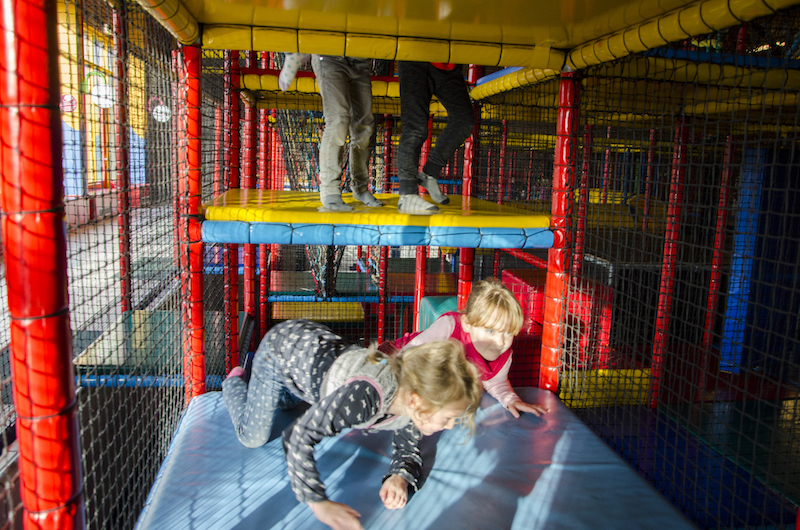 There is also outdoor play during the summer, with our giant 600 m2 play park offering endless fun! 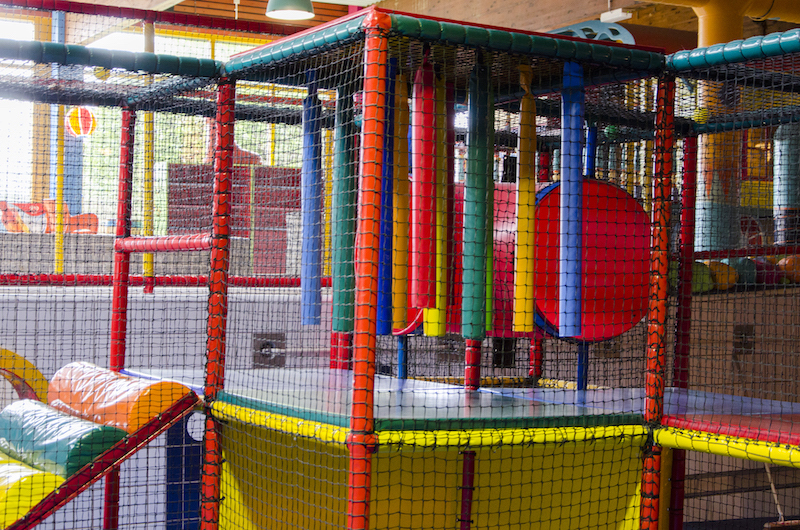 Speelpaleis Bambini features separate play equipment for the younger and older children. 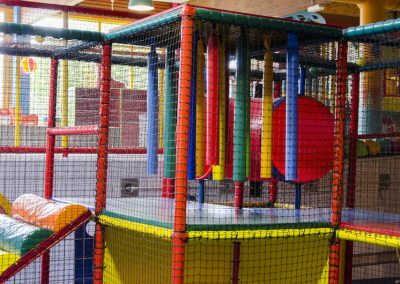 The little ones can enjoy giant lego and rocking animals or clamber around the play structures, the ball pool and the slide. 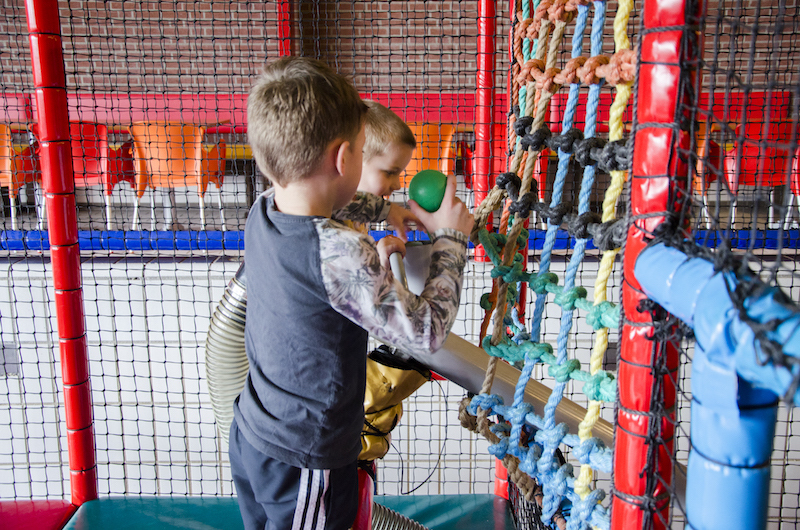 For the older children we have an exciting seven-metre high climb and scramble parcours with five different slides, a bouncy area and a massive ball pool with a ball cannon. 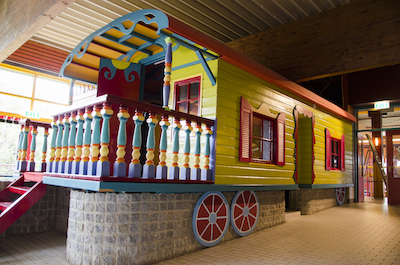 We also have trampolines, a toboggan and air hockey. 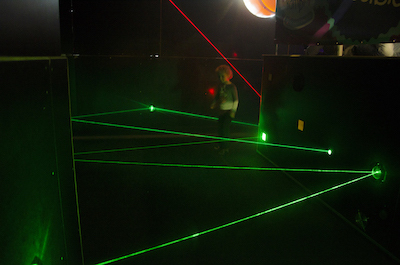 Then there’s our electrifying “Mission Possible” parcours: your mission, should you choose to accept it, is to get around the course while collecting as many red laser hits as possible, but avoiding the green lasers. 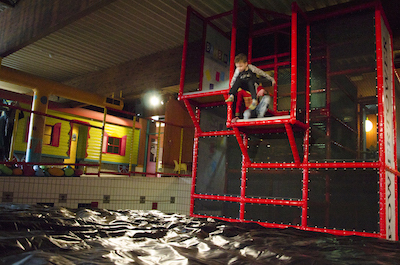 Children can show off their most daring leaps from our jump towers, with a safe, soft landing on a “pillow-bag”. 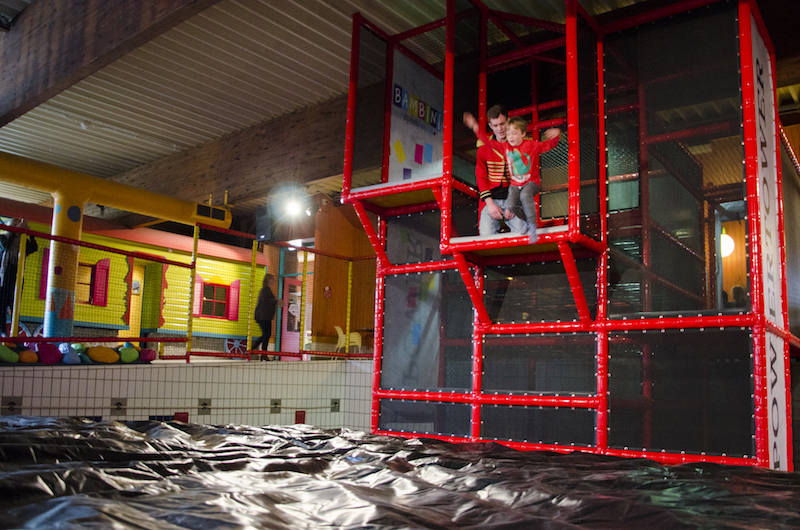 One of our slides is super-steep: who will dare to take the drop? 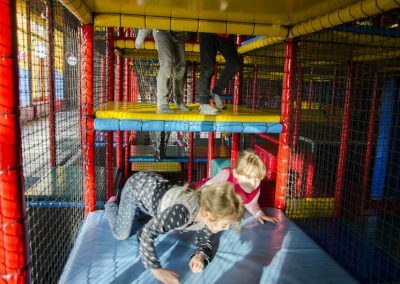 And when they’ve finally had enough of running around the kids can flop out in the Bini Cinema, showing a great range of children’s films. 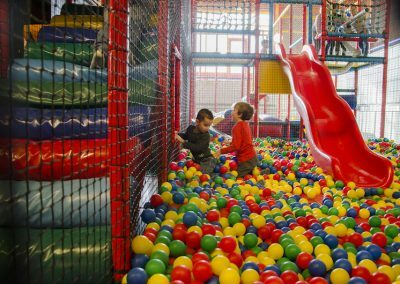 The smallest ones can enjoy giant lego and rocking animals or clamber around the play structures, the ball pool and the slide. 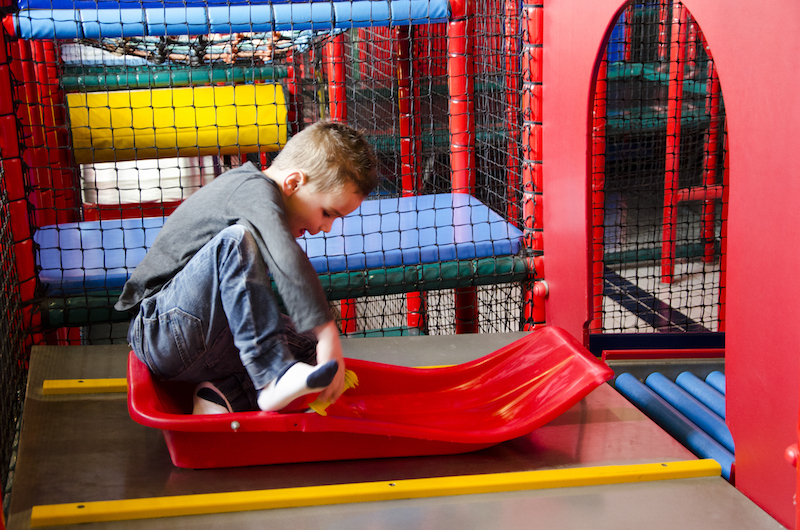 Play areas for older and younger children are separated so everyone can enjoy themselves in safety. 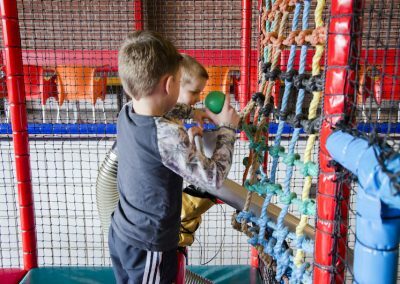 For the older children we have an exciting seven-metre high climb and scramble parcours with five different slides, a bouncy area and a massive ball pool with a ball cannon. 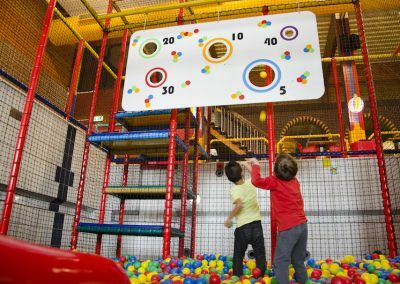 We also have trampolines, a toboggan course and air hockey. 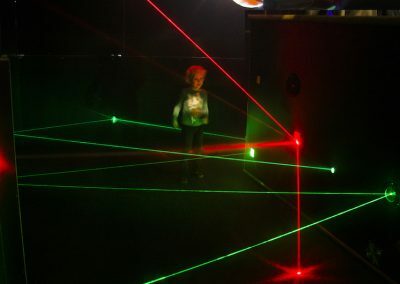 Your mission, should you choose to accept it, is to get around the Mission Possible parcours course while collecting as many points as possible from red laser hits, but avoiding the green lasers. And the grown-ups can join in too! 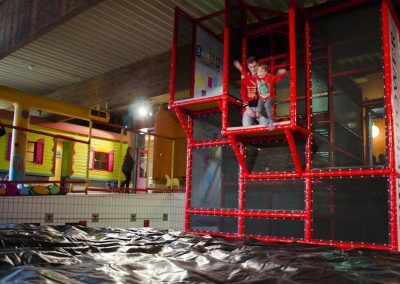 Children can show off their most spectacular leaps from our 7 metre high jump towers, with a safe, soft landing on a so-called “pillow-bag”. It’s a scream! When they’ve finally had enough of running around the kids can flop out in the cinema, showing a great range of children’s films. 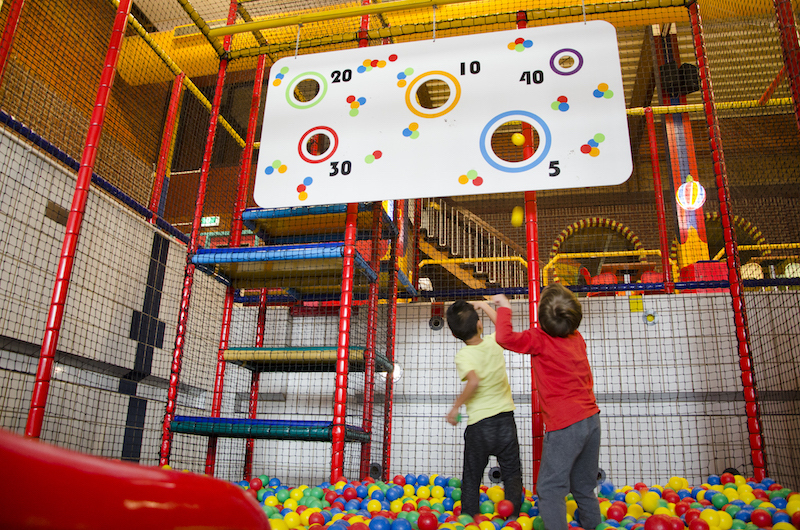 Children’s parties at Speelpaleis Bambini. 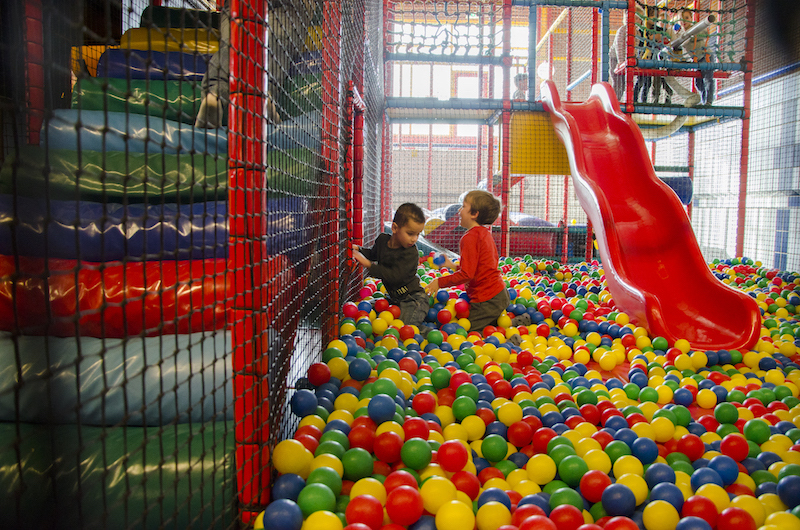 Every child looks forward to their birthday party, and we can make it something special. We decorate a table specially for the birthday boy or girl, and of course there is endless play and food for all the party.